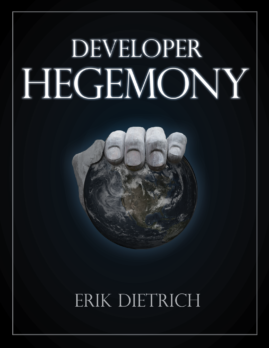 If you haven’t read my book, Developer Hegemony, let me briefly describe one of the main themes from it. In it, I say that the standard corporate model is horribly ill-suited for knowledge work and thus represents a bad deal for knowledge workers. Or, software developers should (and probably will) look to start an exodus from large companies — especially ones that aren’t software companies. I lead with this because the context is necessary for this week’s reader question to make sense. This one came from the Developer Hegemony Facebook group (feel free to join, if you’d like! ), and I bumped it ahead of the usual FIFO model I have for reader questions. It’s just been rattling around in my head a bit since I saw it. So, here’s the actual question. Hey, does anyone have any tips for trying to explain this stuff to friends and family? I’ve found that former coworkers tended to be skeptical at best or furious at worst when I explained what I’d managed to figure out about the whole corporate pyramid. And of course, I just sound like a huge greedy jerk when I try to explain to non-tech people why I walked away from a guaranteed $200-$250k a year. Maybe I should just throw in the towel on bothering to try and lift the veil for anyone else, haha. Once I get up and running, I’ll just point anyone who asks to Mr. Dietrich and John Sonmez’s books. Hopefully, you can now see why I mentioned this core theme from my book about the standard, pyramid-shaped corporation. He’s asking how he might persuade others, presumably without doing what I did and writing a book on the subject. So let’s look at that. The first item here is pretty easy to cover, at least from where I’m sitting. If you decide to leave your job, you don’t really need to justify that to people in your personal life, unless you’re asking them if you can crash on their couches because you’re broke. Not only is this easy enough to justify, but you can also phrase the decision in such a way that nobody can possibly argue with you. I suppose objectivity (or at least leveling metrics) creeps in when people know what you make. But maybe just don’t volunteer that information. Or, if they infer it, you can always explain that money isn’t the most important thing to you. That hardly makes you sound greedy. Besides, you could always point out that, above a certain threshold, marginal income doesn’t contribute to happiness. Alright, so now we move into dicier territory. It’s one thing to convince Alice from your (former) office that you made the right decision by leaving the rat race. It’s quite another to convince her that it would also be the right decision for her. To convince her of that is to convince her, implicitly, that she’s currently doing the wrong thing. Put yourself in Alice’s shoes. There you are, working, if not happily, at least routinely alongside some colleagues with whom you’re comfortable. You’re in a status quo, and you work to live rather than living to work, extracting pleasure from work where you can, and life when you’re not at work. It’s a stable, livable balance, and you’re not really looking to shake things up. Then one day a coworker of yours resigns. At your goodbye lunch, he tells you over gourmet $18 ramen at the new noodle bar that everything you know about the corporate world is a charade and a lie. You see, he just read a book that really opened up his eyes to what a sucker you are. You should read it to, and then revisit all of your life choices. Remember, you’re Alice. Does this sound reasonable? Like something you should really check out? Or does it sound unhinged, like someone reading a book about how the government puts microphones in your vegetables, and everything you’ve ever known about food is completely wrong? Wake up, sheeple! So the first thing I’d do is not approach the conversation from the perspective of right, wrong, and “lifting the veil” from people’s eyes. I’ve written plenty of cynical posts on this blog, and there’s a healthy dose of cynicism in the book as well. But notice something that accompanies all of this. 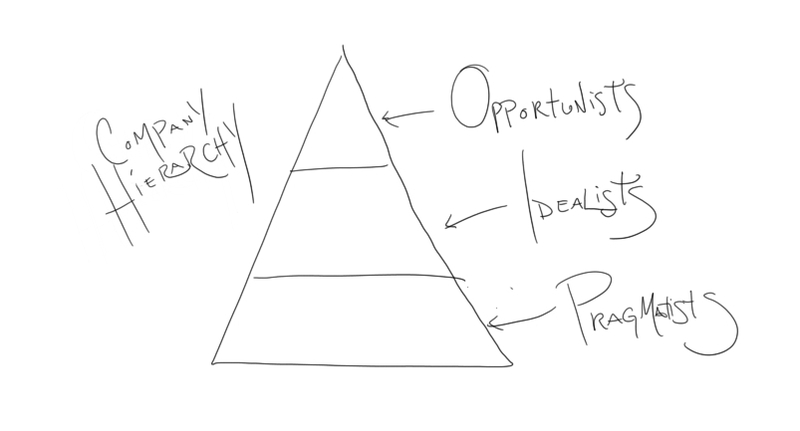 When defining/renaming the members of the corporate hierarchy, I had this to say about the players in the game, who I call pragmatists, idealists, and opportunists. I prefer to think of them not in terms of their shortcomings. Instead, I think of them in terms of what the modern corporate structure has done to them – broken the losers, tricked the clueless, and forced the sociopaths into ethical conundrums. I don’t agree that the corporate structure is optimal or inevitable, and I think its deep flaws show themselves through the human beings that execute its various rituals. This perspective helps, because it makes it easy to understand why they might not believe you when you talk about a supposed better way. The pragmatist will perceive you the way that he perceives the company — full of snake oil. The idealist hitches her wagon heavily to her corporate identity, and will perceive your message (that the company is playing her for a sucker) as brazenly hostile. And the opportunist… well, that’s a story for a different day. You don’t need to convince the opportunist of anything. So think about who you’re trying to convince, and understand their relationship with the company. That way you avoid being the friend telling someone their significant other doesn’t deserve them. Continuing briefly with that depressing analogy, the way you do this isn’t to tell them the significant other is useless. Instead, you wait until some event has them leaning in that direction and then commiserate. The pyramid-shaped corporation inflicts countless daily stupidities on its denizens—so many that they sort of fade into the background until some particular indignity rears its head. Job interviews are ineffective and based on a rich 100-year history of stupidity. The recruitment process isn’t exactly stellar, either. I won’t even bother with a link for this one, but how ’bout them meetings at your job? All hands meetings, department meetings status meetings, Scrums of Scrums of Scrums… everyone loves meetings. Salary policies tend not to be great. Performance reviews are usually self-caricature (that one’s not even my link). You get the idea. If you mount a full frontal assault on wage employment, people will bristle. But everyone, even the most intractable idealist, will have at least some gripe. And pulling on that bit of yarn might start to unravel the ball. But what’s the goal of this unraveling? Well, I’d say it’s simply to facilitate a recognition. You want people to recognize that working inside of huge, pyramid-shaped corporations is not inevitable and that it’s not the only possible path. But you don’t want to push them there. Expose them to other ideas and other perspectives, and then have discussions that involve give and take. Ask leading questions if you’d like, or steer the discussion. Put your cards on the table and be honest about your perspective. But, at the end of the day, you’re less convincing them of The Right Way and more showing them that they probably have some assumptions and self-imposed constraints that don’t need to exist. They have other options. To me, this is hugely important because, as readers of the book know, this was my own path. Nobody came along and told me, “having a job is for suckers.” Before I started to have serious doubts about wanting to continue in a corporate job, that sort of speech would have shut me down instantly, and caused me to stop listening to you. But anyone listening to me gripe and express mounting dissatisfaction might have been able to give me some interesting reading material or some general food for thought. I’d probably have listened to that. Once you’re having some productive, two-way, conversations with people that seem receptive, you can offer something other than arguments against the pyramid-shaped corporation. You can offer them an alternative. But you can offer them a low risk alternative that doesn’t require them to stand, sweating, at a crossroads. Suggest to them that they side hustle somehow. I’ve done this before on this blog. More than once, in fact. And I’ve written a lot of posts about moonlighting, starting a company, and low-risk guides to go freelance. Wow, come to think of it, DaedTech is sort of a goldmine of posts on how to gradually stop depending on your employer and to start building your own empire. By all means, point these folks at DaedTech. But that’s not the main point. Wherever you point them or whatever you say to them, give them ideas for things that are immediately actionable and not risky so that they can start making progress. Telling people to stop working for the man seems like the sale of pipe dreams. Telling them, “hey, for only $75 (or whatever, depending on the state) you can start a company and then spend 2 months self-publishing a book…” offers a plan of attack. Should You Persuade at All, or Just Agree to Disagree? The last thing that I’ll say, for devil’s advocate purposes, is that maybe you shouldn’t bother convincing anyone of anything. I don’t believe this, myself, but it’s food for thought. You don’t have to persuade people to kick pyramid-shaped corporations to the curb. That said, I think it’s a good cause. As more developers leave massive, wage-depressing corporations to hang out their shingles and form efficiencer firms, the riskiness of such a proposition will decrease and available options will increase. For instance, right now you’d probably hesitate to leave a salaried gig for worry about how to handle insurance, retirement savings, lead generation, and more. 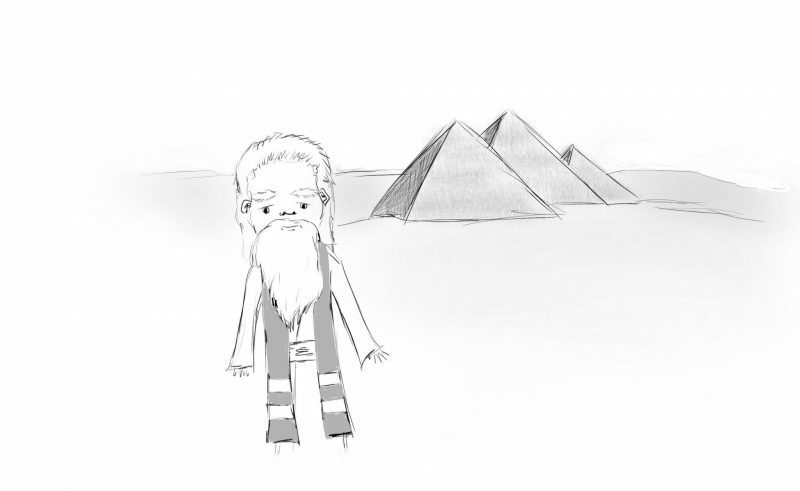 But if the standard model for software development were soloists and small firms, all sorts of resources would exist everywhere to cater to them. And, on top of that, specializing and developing business-facing skills staves off the endless commodification of our labor. So, in the end, I’d like to convince software developers to aspire to more and hold out for better work models. And I’d love it if you did the same, and argued the same points. But doing this isn’t a matter of preaching or persuasion. It’s a matter of offering helpful advice, commiseration, and community, and offering all of those things only when the people you’re talking to want them from you.